Another week begins, and we start off with the usual routine of the European Nintendo Download Update details, which give us a look at what goodies are on the way. The Wii U offers a couple of Nindie efforts, a retail release from Ubisoft, some tempting DLC and a lot of discounts. The 3DS has some particularly enticing download-only options, along with discounts and a surprisingly high number of HOME Themes. Let's get to it. 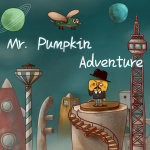 Mr. Pumpkin Adventure (CIRCLE Entertainment, €3.99 / £3.99) - This looks remarkably quirky, and it includes 50 scenes to explore and investigate, with a number of puzzles to tackle. It doesn't seem short of uniqueness and creativity. Solitaire (Sanuk Games, €4.99 / £4.49) - This appears to be exactly as the name suggests, a version of the iconic office time-waster on the Wii U. 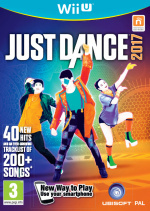 Just Dance 2017 (Ubisoft, €49.99 / £39.99) - This series of dancing games continues to go strong, giving musical movers a chance to show off to a variety of pop hits. This one has a demo available, and all purchases get 90 days of free access to streaming service Just Dance Unlimited. Minecraft: Wii U Edition: Spooky Bundle (Mojang, €6.99 / £5.59) - Includes Halloween 2015 Mash-up Pack, Camp Fire Tales Skin Pack and Halloween Battle Map. Minecraft: Wii U Edition: Builder's Pack (Mojang, €16.99 / £12.79) - Includes Biome Settlers Skin Pack 1, Candy Texture Pack, Cartoon Texture Pack, Pattern Texture Pack, Plastic Texture Pack and Greek Mythology Mash-up. Corpse Party (XSEED Games, €29.99 / £24.99) - This is an updated version of a PSP remake of the original, with an extra four chapters also added. Don't let the convoluted source of this one put you off, as it aims to deliver its own spin of mature horror on the 3DS. In our first impressions from E3 we explained the basics and said it's a treat for Japanese horror fans, and we'll get cracking on a review. Available from 26th October. Gurumin 3D: A Monstrous Adventure (Mastiff, €14.99 / £14.99) - A 3D action adventure game with a long history, in recent times its been remastered and revived for PC and, now, the 3DS. It puts the stereoscopic screen to work, and as a full retail game 'back in the day' it offers a lengthy campaign, multiple endings and various goodies. We were impressed with it in our Gurumin 3D: A Monstrous Adventure review. Downloads include a free 3DS HOME Theme. Fairune 2 (CIRCLE Entertainment, €6.99 / £6.89) - Another retro-styled RPG for the eShop, though we quite liked the original and its take on combat. This one will hopefully be similarly worthy of a recommendation, and a world five times bigger than in the first game is also promised. Box Up (RCMADIAX, €1.49 / £1.39) - In this title you try to guide a box up a screen (avoiding obstacles) in randomly generated levels. You had me at the word "free"
Getting Gurumin 3D, not entirely sure I'll like it, but it seems just the sort of colourful and quirky game that I love the 3DS for. Nothing for me aside from the Sonic theme. Good it's coming over here! Corpse Party is Download Only in Europe and goes for 30€?! No thanks, i got it on my PSP for Only 10€. Just the free theme. Might finally start Link Between Worlds this week. Noticed you've stopped saying you'll review most releases. The eshop reviews are what brought me to Nintendo Life in the first place. So, this Corpse Party is the one that it all started with? I'm still willing to try that series, but never got into research of where to start. Gurumin is dearer than I was expecting... maybe they'll have a discount code. That was the only thing I wanted though. On top of last weeks stingy discounts, this is another crap week for Wii U.
I'm glad to see nobody has voted for Solitaire. €5 for a game you can play on your smart phone or PC for free. Someone went and voted for Solitaire. They probably voted for Just Dance 2017 as well. I don't know, honestly. I'd have grabbed Majora's Mask for Halloween if only I didn't have the game already. Witch & Hero - isn't it always on sale? I'll probably pick up that Sonic theme bundle, and maybe the Team Rocket one too, if I'm feeling spendy. I dunno, the last time I invited myself to a corpse party, I nearly drank myself to death. Already got a good number of Just Dance titles to play, so I'll pass the new one for now. Patience, though, I can play on a physical card deck. Beyond that, I'm not seeing anything of real interest. Dang, Minecraft Wii U Edition is possibly the best game on the system with the support it gets! Can't say that for any other Nintendo title, can you? Hyped about the free Sonic theme! Poor week, just dance is a good title for families and will pick it up if it goes cheap but no rush. Corpse Party for me, although probably not right away. Blew a chunk of my paycheck on a Super Famicom and some games, gotta wait for more moneyz. So do we think the eshop releases are going to improve in time for Christmas or are we going to be stuck with this rubbish until the Switch now? Have the American releas of Corpse Party on preorder. I'd get Corpse Part physically (like the US), but seeing as that's not happening, no sale. I thought Gunman Clive was discounted or was that last week? Anyway the Sonic freebie sounds good and I may investigate Mr Clive too. Since I got both Corpse Party 1 and 2 for only £2.99 each in a sale on my Vita a few months ago I think i'll pass for now, Maybe i'd consider a physical release but its not happening here. The Runbow DLC is the most decent thing coming out on my Birthday which is sad. I'm guessing Sonic style will either have City Escape or Green Hill Zone from Generations. @cmk8 I guess all the shovelware did them in. I think they have freelance writers do the less popular ones now, and it takes longer to do them when they don't get advance copies, or no one wants to play them to review them. I'll admit, those reviews brought me here too (as a lurker), got me to buy quite a few DSiware and WiiWare games several years ago. Probably Sonic themes only though next Monday has Hyrule Warriors Legends DLC. @Lynox Yep this is the beginning. This is a remake of the very first game and tells the very first entry in the series. Then you have the prologue and epilogue of Book of Shadows and Blood Drive in the "trilogy". Corpse Party... Finally... Yihaaaa ! And next, we should have Stardew Valley on WiiU soon, if I'm correct... I'm really happy this end of year ! Hyrule Warriors says "hi". Better support than any game I've ever seen. 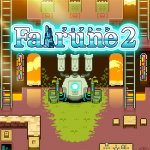 Fairune 2 and corpse party could be interesting at a discount. @Menchi187 Perhaps, but they discounted more then enough Halloween themed VC games as well as eShop games. VC Sales almost never happen. I don't think we're going to see any new VC titles besides whatever NA has that we don't if anything and eventually more TG games and maybe SNES for New 3DS, not for a system that's pretty much on its last legs and a handheld entering its last 1 or 2 years. Sadly, I think that you're right. I have been following the VC trends, from region-to-region, very closely for the past several years and one thing that I have noticed is that the trends in Japan do trickle down to Europe and the states. When VC support suddenly stopped in Japan, for the original 3DS (NES, GB, GBC), it took a few months but that same support stopped for the other regions as well with no explanation as to why. The same is now happening (already!) with snes support on the New 3DS! Japan hasn't received a new VC release since August, and the once-robust list of future releases has been pared down, which is exactly what happened when support died a few years ago. It's sad, really, because only two third-party companies offered support for the New (Capcom and Konami). It would have been nice to get Squaresoft, Natsume, Enix, etc. on board as well. @neyoung8 Look at last week's update. Plenty of discounts, including on Wii games, and a new Wii game too (Project Zero 2). And it's all available even now. Go go go! @Mahe I know last week was really good. I picked up 7 games. @BanjoPickles Another thing to consider what the main VC focus for them must be right now and that would be getting the Switch's VC up and running. 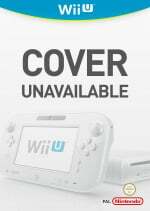 Do remember the Wii U VC did not even launch till a few months after the system. @Angelic_Lapras_King I think they will start over and i don't think there will be DS or 3DS, Wii or Wii u VC so a real step backwards. Also I think we won't see VC until late 2017 as they will want people buying third party games. Getting free Shantae and the Sonic Style home theme. Still waiting for the last HWU DLC. 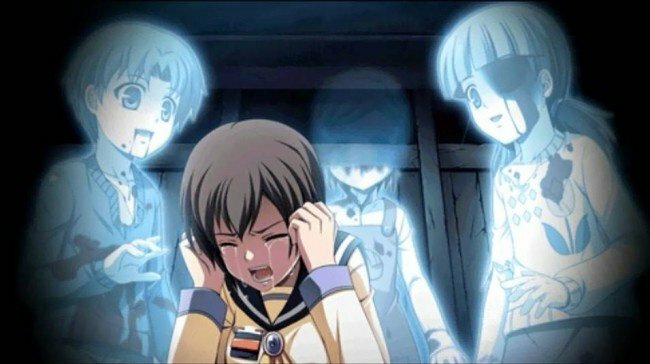 Corpse Party might be something that I'll enjoy, but I'll need to look into it and at reviews. @neyoung8 Yeah, you should be playing those games... or buying more from the sale! Corpse Party and maybe Gurumin n Mr Pumpkin aswell for me this week. Very helpful link, thanks. I've already preordered the 3DS version but I was also wondering what differences were. I got fed up with Nintendo's refusal to publish a fair amount of NES/SNES classics on Wii U VC, so I just bought the original consoles with Everdrives to play on an old 25" CRT. Comes to about half the price I already paid for my current VC games (I got over 30 VC games on my Wii U, which arguable is more comfortable with the gamepad on the couch though). I will however cherish my small collection of SNES games on N3DS, because that is pure portable genius. The new home themes still aren't out....I want two of the Sonic ones really badly.